No, not my grammatically poor prose, but this article here. This appears in businessweek but it reads more like a crazed press release from a desperate small company. Wild claims are made. Yet, amazingly, this is all true. 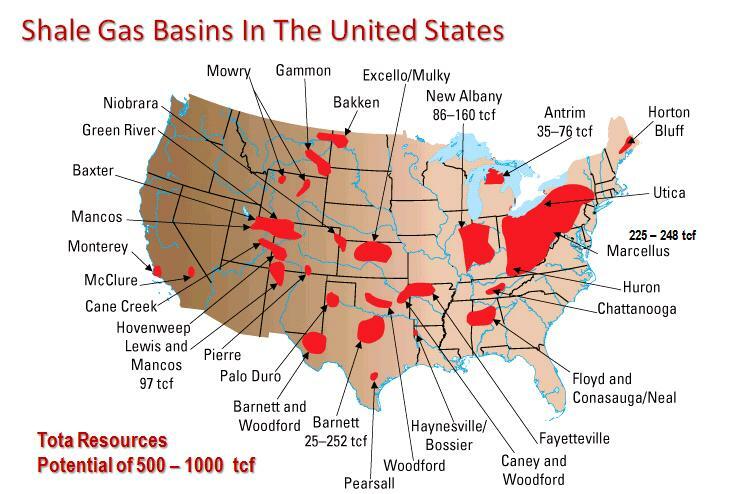 Shale gas really has brought about an energy revolution in the USA. There is now no demand for the ridiculous wind turbines nor the eye wateringly costly and risky nuclear power stations. And there is easily enough shale gas, which is a low carbon emitter compared to coal or oil, to last until real energy security is developed in the form of Fusion power stations - not due commercially for another 50 years or so. 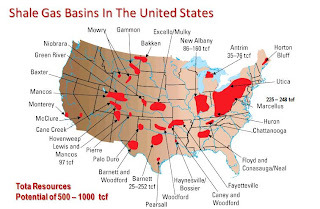 America has over 400 hundred years reserves of shale gas. The reason to rejoice is that so does the UK - hundreds of years of energy freedom are at our finger tips. In a world where oil prices are being pushed up by mad mullahs in Iran - we have the solution to all our energy problems here at home. There are of course some technical challenges to be worked out, such as not causing even tiny earthquakes. None of these are insurmountable though and most have been overcome in the can-do USA. So on a day when the Euro news and much else is poor, at least this is a reassuringly good piece of news to digest. And of the CPS would sweep up Huhne we might all benefit from this far sooner than seems likely. "to last until real energy security is developed in the form of Fusion power stations - not due commercially for another 50 years or so." cold fusion has been 50yrs away for the last 50yrs. "There is now no demand for the ridiculous wind turbines "
Yes we don't need nor ever have needed wind turbines. May I recommend this series of vidios. Which spends some time on resource utilization. "nor the eye wateringly costly and risky nuclear power stations. Then we should build cheaper nuclear power stations. "Then we should build cheaper nuclear power stations"
The technology exists around the Thorium nuclear decay. We don't much go in for it in the UK cos you cannot easily use the reactor to produce plutonium. But it produces plenty of electricity. Polywell/EMC2 is nearing the end of their current R&D phase. They are near switching to the target fuel (Hydrogen/Boron). The next phase is to build a pilot power plant. The project is being run by the DoD (Navy) so information on progress is scarce, but encouraging. LPP/DPF progress has been slow but steady (lack of funding). They recently reached the very high temperatures required using test fuel (Deuterium). They will be switching to the target fuel (Hydrogen/Boron) sometime this year hopefully. ITER had a breakthrough in the last couple of weeks. They have found a method to stabilise the plasma in the reactor. Which is a step forward in running the reactor continuously. Cold fusion (LENR). Rossi still stubbornly refuses to allow independent researchers to verify his "black box" or patent the technology. Extraordinary claims require extraordinary evidence, and no evidence has been forthcoming. Snake oil IMHO. There is the issue of the EU and the Greenies. But I agree. Encouraging news. Some of you may not be old enough to remember how the NUM held this country to ransom for 20 years (or more). It was only Mrs Thatcher's hoarding of coal at the power stations, together with those despised "expensive" nuclear generation plants, that broke the NUM's Marxist grip. If we rely totally on one source only, whether coal, nuclear or gas, we are asking for trouble. We must not be caught out again: strategically we need a mix. For commercial generation right now CCT, Cold Fusion and even Thorium and Shale Gas are currently pie-in-the-sky in the UK. Wind is intermittent and at least twice the cost of gas, thus of interest only to cave-dwelling eco tribalists. So for practical purposes, right now, it comes down to (conventional) Gas and (conventional) Nuclear. Get used to it. Edit: Sorry, I just re-read my comment. By CCT I meant Carbon Capture Technology, correctly known as CCS (Carbon Capture and Storage). I should also have added clean Coal (not with CCS) to the list of conventional Gas and Nuclear at the end. What's the shale gas resource like in Africa? AFAIK, China has bought up pretty much all mineral rights in the Dark Continent so I guess they've spotted something.